Devices today are becoming powerful and stronger, not to forget, having a profound impact in our day to day lives. Mobile apps are everywhere for every thing. I always pondered, when you install a new app, how the providers send you welcome messages / on boarding messages ? If you did too……, this is the exact article. 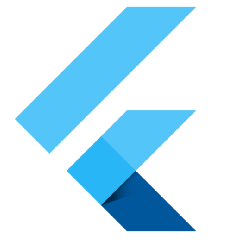 Flutter has no-doubt revolutionized the speed of mobile development. For this article, we have a simple Google-Sign In App. This function sends the On-Boarding messages via SMS and WhatsApp. Twilio is a cloud communications platform as a service (PaaS) which allows developers to programmatically make and receive phone calls, send and receive text messages, and perform other communication functions using its web service APIs. NOTE : You get a $15 USD balance in your trial account after signing up. Click on the three dots icon, and choose the services which you want to activate. This would prompt you to first assign a phone number, which you need for sending SMS. 4. For sending whatsapp messages, simply click on the top notification (above image) which says Get started here. Simply send a whats app message (join moving-particles) to the number (in my case +1 415 523 8886)…..
Get the accountSid and authToken, from your Twilio account. body : The text of the message you want to send, limited to 1600 characters. to: The phone number to receive the message. NOTE : Don’t remove whatsapp: in the from and to params.